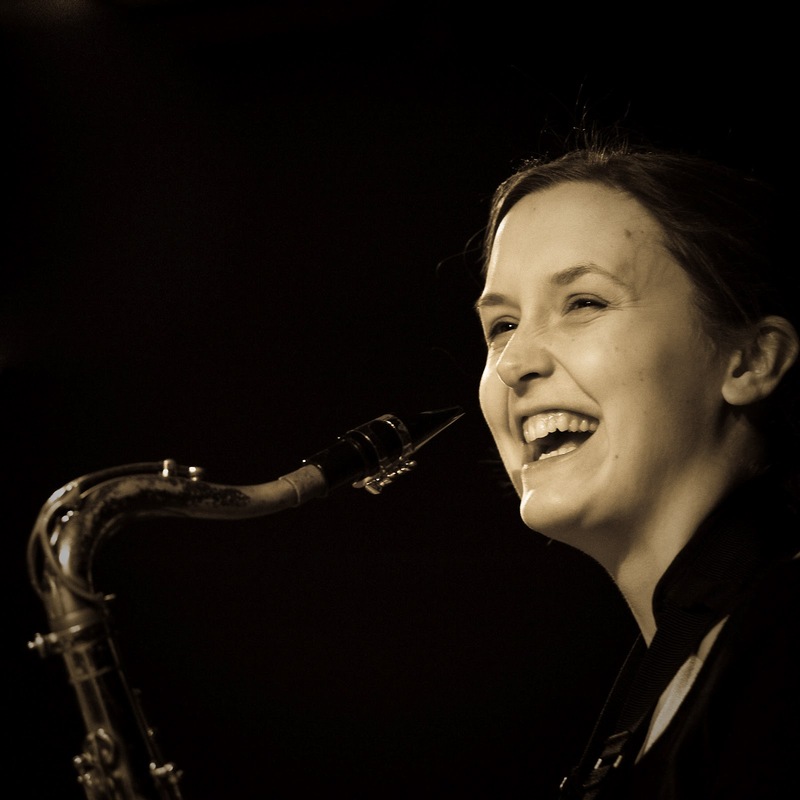 Hanna Paulsberg is a norwegian saxophone player and composer based in Oslo, Norway. She mainly works with jazz and rythmic improvised music, and released her debut album as a bandleader, Waltz for Lilli, in october 2012. She grew up on a small farm in Rygge, Norway, and started playing the saxophone when she was sixteen years old after hearing Stan Getz and falling completely in love with his playing. After a year at Toneheim Folkehøgskole in 2007, she went on to do a bachelors degree in jazz at the Norwegian University of Science and Technology in Trondheim, where she studied under John Pål Inderberg and Eirik Hegdal. In 2010 (the last year of her degree), Hanna formed the quartet Hanna Paulsberg Concept. The band quickly found each other through a common passion for beautiful melodies, open improvisation in set forms, and 'cookin' jazz. In 2011 the quartet won the Young Nordic Jazz Competition in Stockholm and was awarded the Trondheim Jazzfest's talent award. In 2015, Hanna was titled NTNU - ambassador at Jazzfest in Trondheim. Previous ambassadors are musicians such as Håkon Kornstad and Ola Kvernberg. In 2016, the National Jazzscene in Oslo comissioned a concert from Paulsberg, asking her to write music for a band where she would choose the musicians. Paulsberg called up Bobo Stenson and asked him to join this project, and he accepted. They did a tour in Norway arranged by the National Jazzscene, in a quintet completed by british trumpeter Laura Jurd, drummer Hans Hulbækmo and bassist Mats Eilertsen. Hanna has played with many different musicians. She often plays with the Trondheim Jazz Orchestra (TJO) and has participated on projects with Chick Corea(2016) Motorpsycho/Ståle Storløkken/TSO(2010), Elin Rosseland(2010), Eirik Hegdal(2012), Marius Neset(2012), Come Shine(2015), and Skrap(2016). In 2012 she was elected to represent Norway in The European Jazz Orchestra, and went on tour with this band in Eastern Europe. She has also played with musicians such as Bobo Stenson, Chick Corea, Bugge Wesseltoft, Jon Balke, Marilyn Mazur, Georg Riedel, Svante Thuresson, Chris Minh Doky, Jimi Tenor, Jan Eggum, and Henning Sommerro. She has toured and played in Scandinavia, Madagascar, Angola, Indonesia, Singapore, Greenland, Germany, Ireland, England, and large parts of eastern Europe.